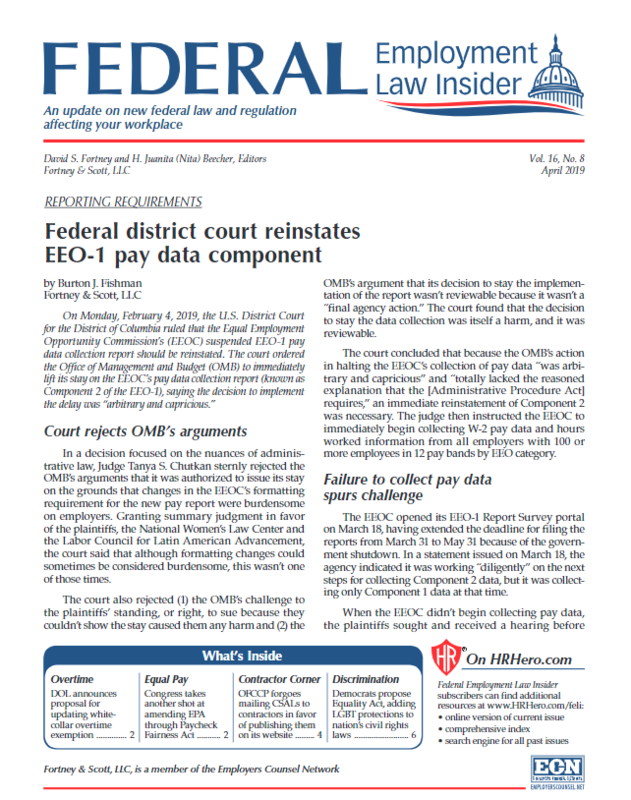 For 15 years, the Federal Employment Law Insider has been the go-to source for behind-the-scenes intelligence on new employment legislation, recent court decisions, and new rulings impacting how you operate your organization. From understanding complex laws to staying on top of new regulations and compliance obligations, you have so many issues that demand your time and attention—and that’s where the Federal Employment Law Insider can help you process and act on this information while saving you time and money. Written and edited by attorneys who are real D.C. insiders in the trenches of employment law changes, the Federal Employment Law Insider provides you with advanced warning on upcoming federal regulations, legislation, and court decisions. Get your complimentary download of the April 2019 issue! 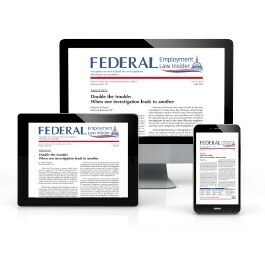 Subscribe to the Federal Employment Law Insider today! David S. Fortney is the co-founder of Fortney & Scott, LLC, a law firm in Washington, D.C., that focuses on workplace-related matters, including labor and employment, government contracting, and taxes. He has a broad-based practice representing and counseling employers and executives in employment and labor matters. He frequently represents clients before the U.S. Department of Labor's (DOL) agencies, the U.S. Equal Employment Opportunity Commission (EEOC), and the National Labor Relations Board (NLRB). Fortney previously served as the chief legal officer of the DOL during the first Bush administration. As Acting Solicitor of Labor, he was responsible for enforcing more than 140 workplace laws and managing an agency with 800 attorneys and support staff. He advised Secretaries of Labor Elizabeth Dole and Lynn Martin and the DOL agencies on a broad range of legal, policy, legislative, regulatory, and enforcement issues. Fortney has testified before the U.S. Congress three times, most recently on behalf of the national employers' Overtime Coalition in support of DOL’s issuing revised Fair Labor Standards Act (FLSA) white-collar exemption regulations. Fortney is a frequent lecturer and writer on employment-related topics, including appearances on CNN and Fox News. He was the co-author of the Military Leave Compliance Kit (2001) and lead author of the Guide to Employee Leave (1997). Nita Beecher is a nationally recognized expert on Office of Federal Contract Compliance Programs (OFCCP) and EEOC matters. 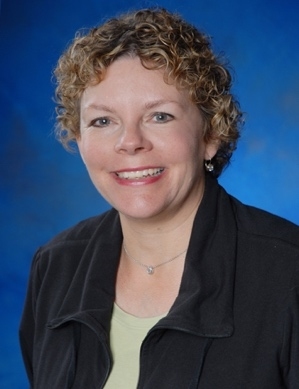 She is counsel to Fortney & Scott, LLC, with a focus on OFCCP regulatory affairs. Beecher's primary focus is labor and employment law, with substantial experience with class investigations by the EEOC and OFCCP. She has more than 30 years of experience in labor and employment law, particularly with class investigations by the OFCCP and the EEOC. From 2000 to 2015, she led networks of senior diversity, equal employment opportunity (EEO), and affirmative action corporate practitioners, as well as senior in-house labor and employment lawyers. Beecher served as an in-house counsel in major corporations for more than 20 years, during which she advised in-house clients on labor and employment law issues, including, among other matters, OFCCP “Glass Ceiling” audits, EEOC class age investigations, implementation of the Americans with Disabilities Act (ADA), and FLSA Wage and Hour audits, as well as developed a self-audit tool for McDonnell Douglas Corporation and The Boeing Company. Beecher also worked as in-house counsel for E. I. duPont de Nemours & Co., Consolidation Coal Company, and Arch Coal Company. Click below to view a sample issue. Pricing for this product is for internal organizational use only for one user. For custom pricing, additional users/states, or to discuss external or third-party use, please contact Customer Service at 800-727-5257.